Chinese Chicken Lo Mein made with cooked chicken, spaghetti, and vegetables in an Asian soy sauce is a tasty, skillet weeknight meal that’s ready in 30 minutes. 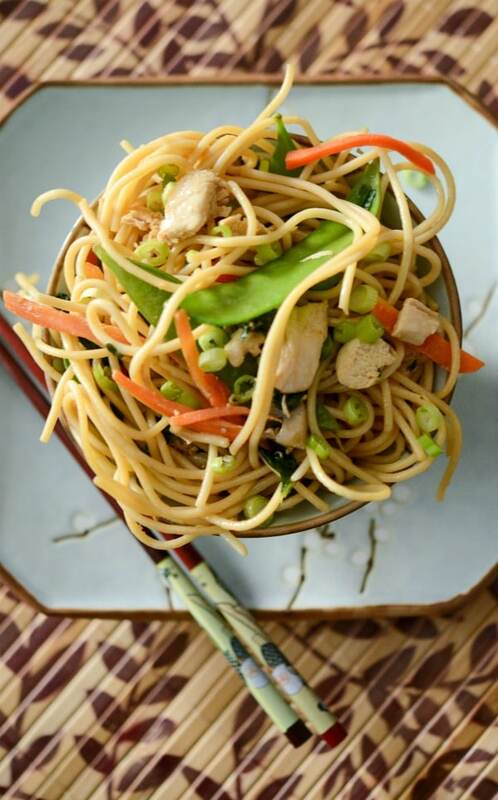 Chinese New Year (The Year of the Rooster) is February 16th this year so I decided to make one of my girls’ favorite Chinese take out menu items: Chicken Lo Mein. I never made it at home before and I’m not sure why because it’s so easy to make. It’s probably because we live outside of NYC and we get some pretty tasty take out so why bother? I do have to say that when we’re in Florida and craving Chinese food, the Chinese restaurants just don’t compare to up north so I’m glad I have a back up I can make when I’m there. This recipe is a great way to use leftover chicken or you can even one of those store bought rotisserie chickens. 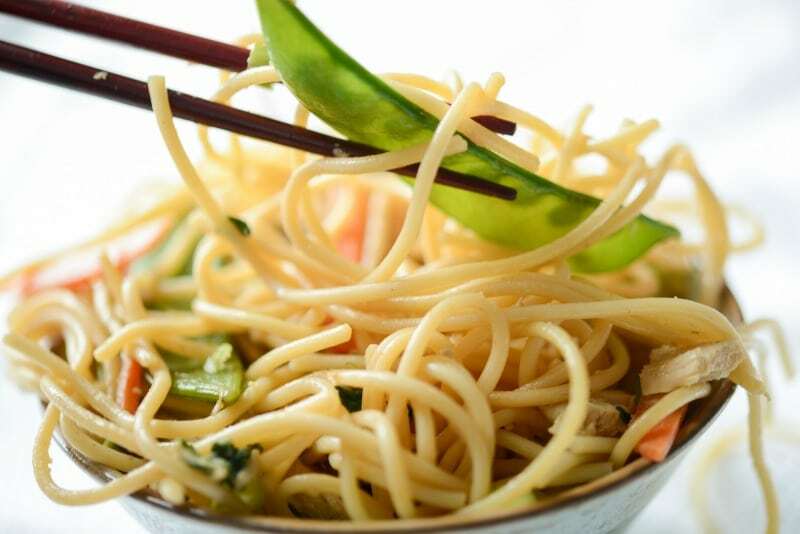 Once I decided to make this Chicken Lo Mein, I started to look at what foods are commonly eaten during Chinese New Year and found that there are 6 lucky foods. Since I’m making a noodles dish this year, I’m hoping for happiness and longevity(especially since I just turned 50 last week!). 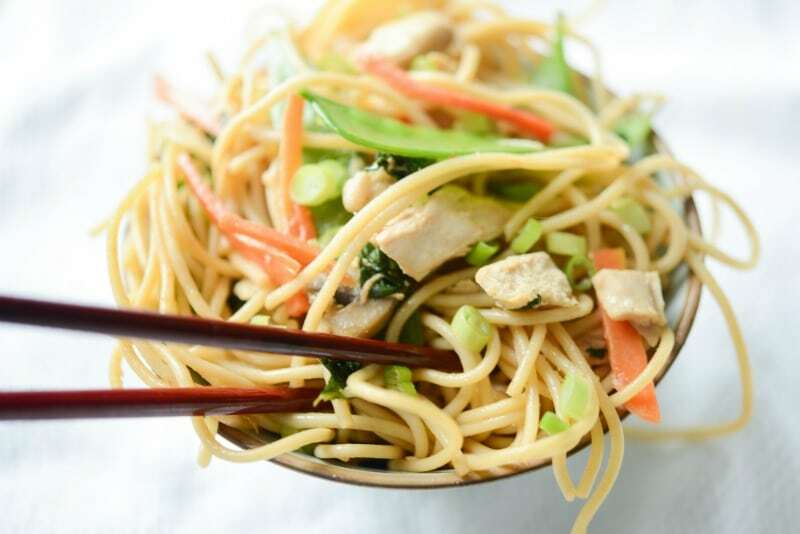 To make this recipe you’ll ned spaghetti, cooked chicken, vegetables (I used garlic, mushrooms, carrots, spinach and snow peas) and the sauce made with soy sauce, sugar, sesame oil, ginger and Sriracha. Start by cooking your spaghetti according to package directions, rinse and set aside. I just so happened to have leftover roasted chicken, but if you don’t have any chicken that is already cooked; you can boil a boneless chicken breast until it’s cooked through. 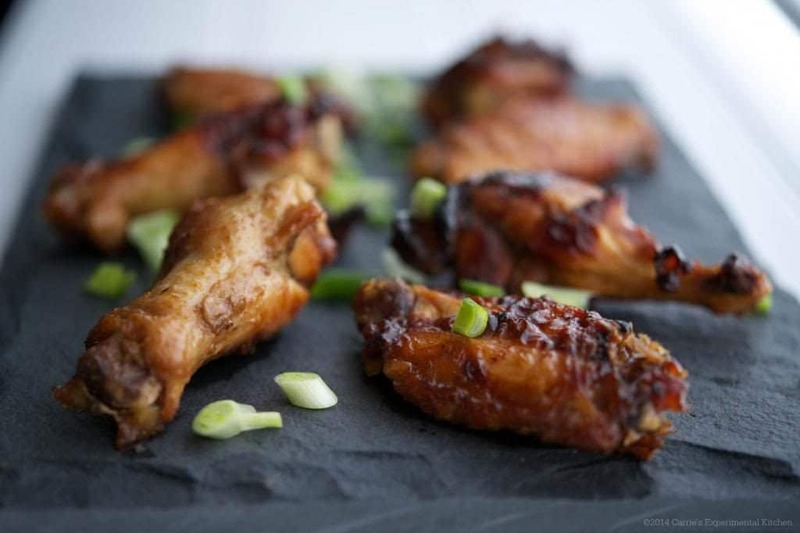 Once the chicken is cooked, dice it into small, bite sized pieces. Next, it’s time to make the sauce by mixing all of the ingredients together in a small bowl; then set aside while you sauté your vegetables in a large hot skillet or wok (I cooked the vegetables with a little oil for about 2 minutes). Finally, add the chicken, cooked pasta and sauce to the skillet and mix well with tongs to make sure everything is coated. 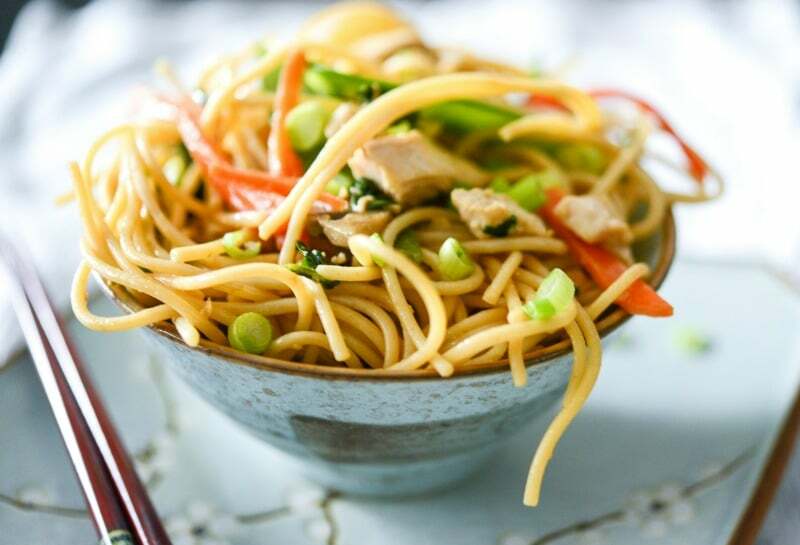 I added a bit too much Sriracha when I made mine, so my kids added a little more soy sauce on top of their portions, but they loved this homemade version of Chicken Lo Mein. 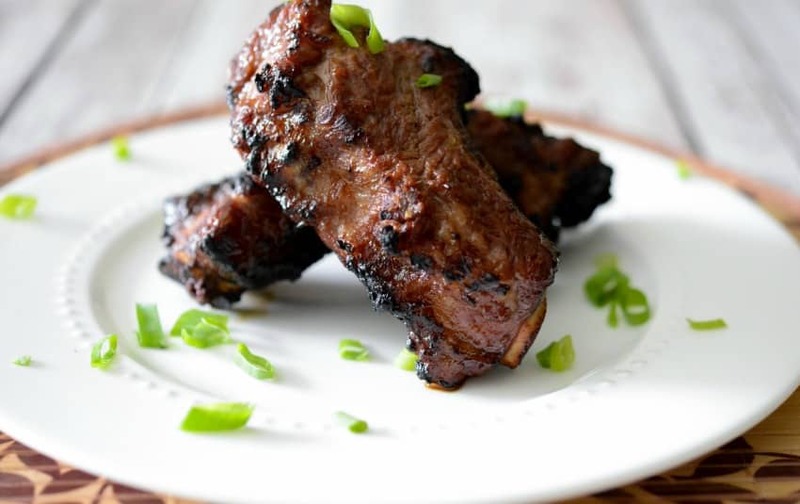 I really enjoyed it myself because you can control how much sodium is in it by not adding unnecessary MSG or by using low sodium soy sauce. To make this meal gluten free, use gluten free spaghetti and gluten free soy sauce. ~Enjoy! 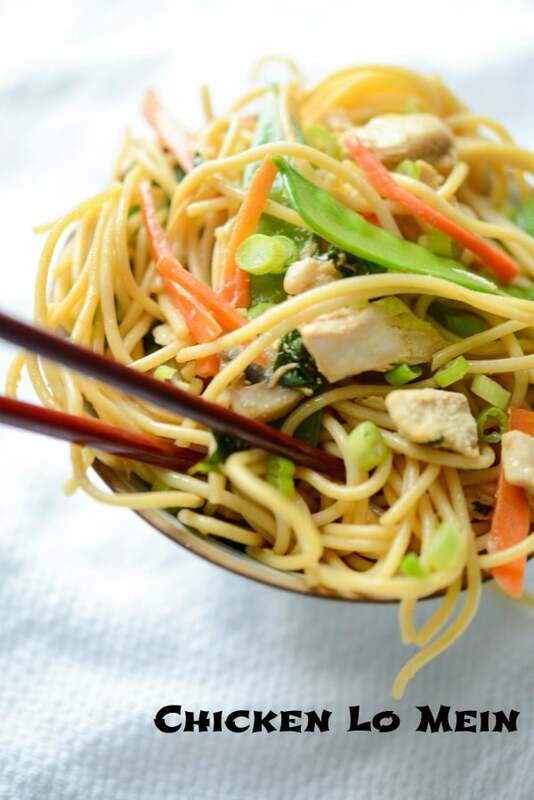 Chinese Chicken Lo Mein made with cooked chicken, spaghetti, and vegetables in an Asian soy sauce is a tasty, skillet weeknight meal that's ready in 30 minutes. Heat the oil in a large skillet or Wok over medium-high heat; then add your vegetables. Cook for approximately 2 minutes, stirring constantly; then add your chicken, pasta and prepared sauce. 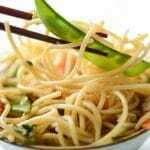 Toss the pasta with the chicken and vegetables with tongs, making sure to coat the noodles evenly (approximately 5 minutes). Garnish with extra scallions. Mix all ingredients in a small bowl until all combined. 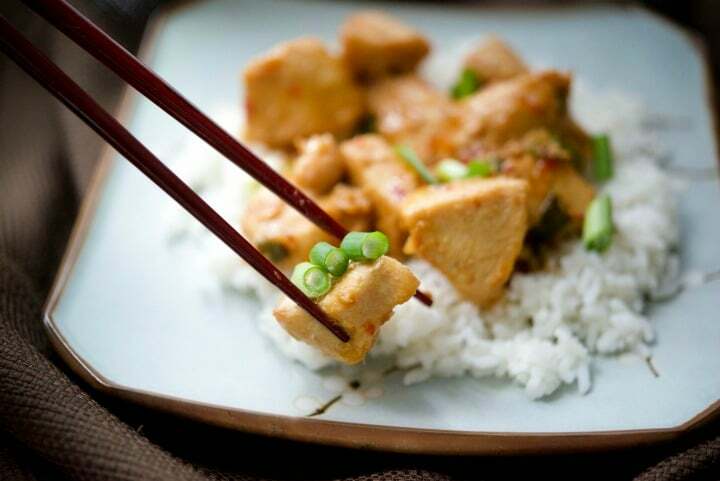 Visit my Pinterest Board for MORE Asian Inspired Recipes! So refreshing idea for week dinner ! Under 30 minutes; yes, made for my family ! Thank you so much !